Only the really slow ones are still raging on about the cages since most of them have finally gotten the message that the pictures they were all upset about were taken during the Obama administration. That’s when they pivoted their fake outrage to the fact of the separation instead of the optics. Some liberal activists and journalists scrambled to delete tweets and social media posts incorrectly linking the Trump administration to an old photo of detained illegal-immigrant minors being held in a cage. The 2014 shot was actually taken during the Obama administration. “This is happening right now, and the only debate that matters is how we force our government to get these kids back to their families as fast as humanly possible,” former Obama speechwriter Jon Favreau said on Twitter. Mr. Favreau deleted the tweet, though not before it had been screen-captured. Other liberal activists and journalists, such as Shaun King of Black Lives Matter, Linda Sarsour of the Women’s March, and Muslim activist Qasim Rashid still had the fake news up Monday afternoon. Welcome to 2014. I think I have a solid guess on how your selective outrage missed this then. 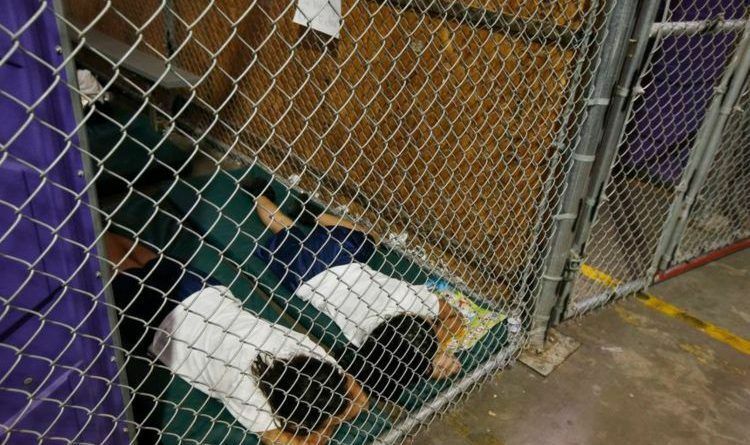 The mainstream media was quick to report that President Trump cage children but they failed to report that they were wrong and this photo was taken during Obama administration! Also during an interview with CNN on Saturday, Democratic Texas Rep. Henry Cuellar admitted that the Obama administration tried to cover up the child migrant crisis occurring at the Southern border. “It was kept very quiet under the Obama Administration. There were large numbers of people coming in. The Obama administration was trying to keep this quiet,” Cuellar said. CNN’s, Fredricka Whitfield then displayed a 2014 image of migrant children held in cages at a detention center, and Cuellar said that he released similar photos of children separated from their parents. “We still see the numbers.” He also pointed out that not all children crossing the border are being separated because some come alone. He said that some immigrants are bringing children across the border who are not their blood relatives in order to take advantage of U.S. immigration loopholes, which have since been rectified by Trump’s zero-tolerance policy.